Be the first to share your favorite memory, photo or story of Gertie . This memorial page is dedicated for family, friends and future generations to celebrate the life of their loved one. Gertie Short Watson, 88, of Prestonsburg, KY, passed into her heavenly home, Sunday, February 10, 2019 at the Greg and Noreen Wells Hospice Center at Hazard, KY. Gertie was delivered by a mid-wife, August 6, 1930, to the late Lula Richardson Short and Pearlie Short of Pippa Passes, KY.
Gertie was married, August 12, 1949, to the late Harvey Watson. From their union were five children: the late Clared Windell Watson (Brenda); John Watson (deceased infant); and survivors: Cline Douglas Watson (Nadine), Independence, KY; Patricia Carol Watson, Prestonsburg; Marcia Lynn Watson Goins (Joe), Cross Plains, TN. Gertie had a ready smile and love for everyone. Gertie was a homemaker and vegetable and flower gardener. Gertie loved the Lord and lived her faith all the way to the time of her departure from this life. She was a faithful member and deaconess in the Cold Springs Regular Baptist Church on Caney Creek, Martin. Some of her church family affectionately called her “candy lady” for she always carried candy and treated children and adults, alike. 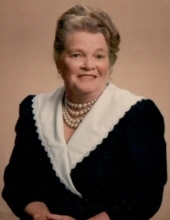 In 1987, Gertie was honored with the title “Mother of the Year” through recognition by the Independent Christian Women’s Fellowship of Floyd County. Also, Gertie was an associate member of the United Mine Workers of America. She supported a variety of charities. Gertie is survived by her beloved brothers: Charlie Short, (late, Ruth) Garner, KY; Dewey Short (Irene), Fort Wayne, IN; and Pearlie Short, Jr. (Anna Grace), Pippa Passes, KY. One brother, Paul Short, from Pippa Passes, preceded her in death. Gertie has six grandchildren: Rita Watson Allen, West Liberty; Jeffrey Watson (Zelma), Pyramid; Crystal Watson Rose (K.B. ), Prestonsburg; Courtney Watson Jordan, Prestonsburg; Harvey A. Watson (Lisa), Fort Knox, KY; Nathan D. Watson (Jenni), W. Palm Beach, FL; nine surviving great-grandchildren: Bethany and Evan Allen, West Liberty; Aaron Watson, Pyramid; Kennedy and Kendall Rose, Prestonsburg; Jillian Jordan and Jonah Slone, Prestonsburg; and Luke and Benjamin Watson, W. Palm Beach, FL. One deceased infant: Noah B. Rose. Visitation and service will be at the Nelson-Frazier Funeral Home, Martin, KY. Visitation will be Tuesday evening, February 12, 2019, 4 – 9 PM, and continue Wednesday morning, February 13, and the service will be at 11 AM., with Regular Baptist ministers, Brother Squire Hamilton and Brother Kerry Ratliff presiding. The final resting place is in the Davidson Memorial Gardens, Ivel, KY. In lieu of flowers, the family asks that donations be made to the Greg and Noreen Wells Hospice Care Center, 57 Dennis Sandlin MD Cove, Hazard, KY 41701. "Email Address" would like to share the life celebration of Gertie Short Watson. Click on the "link" to go to share a favorite memory or leave a condolence message for the family.